“I want you to believe…to believe in things you cannot.” A modern retelling of Bram Stoker’s Dracula, Mia Morris’ Diary is a web series released by Black Cat Film Productions currently streaming on YouTube. It is inspired by The Lizzie Bennet Diaries, Notes by Christine, and The Cate Morland Chronicles. The series follows Mia Morris, who has been leaving video diary messages for her boyfriend, who is currently studying abroad. However, a lot of spooky things begin to happen, as a vampire becomes drawn to Mia and her close friends, luring them into danger and darkness. Mia reacts to everything that is happening and tries to make sense of it as best she can, but there are some things that simply cannot be explained. 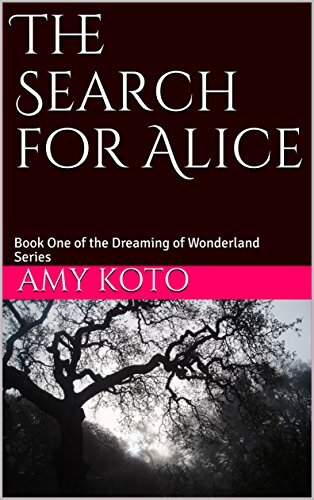 As she continues to uncover the mystery surrounding her, Mia’s world is turned upside down, as she starts to question everything and everyone around her. Do vampires really exist and what do they want with her? I was very excited to watch this show, which is now available to stream all 22 episodes on YouTube. If you love binge-watching like me, then this series is the perfect option for you. Each episode is only a few minutes in length, which is actually really great. You can pick up right where you left off without missing anything, which is sometimes difficult to do during most television series. I love being drawn into a series immediately and the pilot episode allowed me to do so, providing us with some setup, but also introducing us to the mystery right away so that we crave instant answers. While some episodes contain welcomed fluff, others are eerie and hypnotizing, inviting us into the story. I found myself playing Nancy Drew along with Mia to uncover the mystery and unmask the villain. The lead actress provided us with a believable performance and I thoroughly enjoyed when all of her friends came together to make sense of the madness. Think the Scoobies from Buffy the Vampire Slayer. There was just the right amount of campy horror fun mixed in to balance out the drama behind the vampire seduction. When I started the web series, I felt that it had a lot of potential. However, the series can be somewhat slow moving at times in the middle. I would have liked to have seen more scenes involving the group coming together to solve the mystery, but that’s just because I really enjoyed that dynamic. Overall, I think that the show is worth a stream if you find yourself craving some vampire mystery fun. I mean, who doesn’t love a good vampire story? Ready to check out the series? Watch Mia Morris’ Diary Now! I hope you enjoyed the review and feel free to post your own thoughts and theories on Mia Morris’ Diary in the comments section below. Thanks so much for reading and happy viewing!